Have you tried other methods of treatment (i.e. laser treatments, sclerotherapy, vein stripping, compression stockings, or anti-inflammatory medications) with little or no relief of your symptoms or have had reoccurrence of symptoms? If you answered YES to any of these questions, you may be a candidate for treatment. To schedule your appointment with Dr. Eidson, please contact our office at (817) 795-8346. 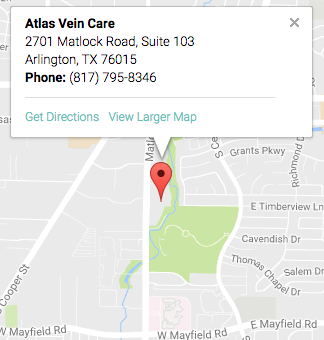 Don’t let yourself suffer from vein disease one more minute!